Below you can view the past Milestones of the SURGe project, and see how far along we have come! A workshop was held at the BedZed eco-community in London at the offices of the sustainable consultant and designer Bioregional. The discussions focused on the design and development of socially sustainable eco-housing as well as the progress of the SCAD Eco-house. Charles from SCAD was in attendance along with Rowan Mackay and guests, and the workshop was chaired by Richard Simmons of University College London. Indian Urban Futures II: How should medium sized cities grow? This symposium follows up a highly successful event a year ago. The event drew together practitioners, researchers and others with an interest in sharing good practice with cities undergoing rapid growth. The theme this year was on Going to Scale, and the results have been published as a draft manifesto which will form the basis for practical experiments and further research over the coming year. Dr. Nicholas Falk hosts a workshop at the UK’s National Urban Design Conference. On the the 8th of September during the National Urban Design Conference held in Manchester, UK, Dr. Nicholas Falk hosted a workshop and presentation on Asian Cities Routes to Smarter Urbanisation featuring the Urban Designer and Researcher Rowan Mackay. Over a 3 day visit to Tirunelveli Vidhya assesed the potential for implementing an eco-housing project in Tirunelveli through a collaborative venture between SCAD group and URBED trust. The visit was highly fruitful and set the path for the next year of future developments between SCAD and The URBED Trust. Taking advantage of the distinguished Indian architect and founder of the Urban Design Collective Vidhya Mohankumar’s visit to the UK, a workshop was held in order to discuss the developments of the SURGe project and provide recommendations for the future. The meeting resulted in Vidhya’s proposed collaboration with the SURGe project. The URBED Trust hosts an event with the Urban Design Group exploring the challenges that medium-sized Indian cities which are growing fast face, and how Western planning and urban design experience could best be transferred. Find out more here. Dr. Nicholas Falk viewed the excellent presentations from the SCAD students, and awarded the most innovative ideas. 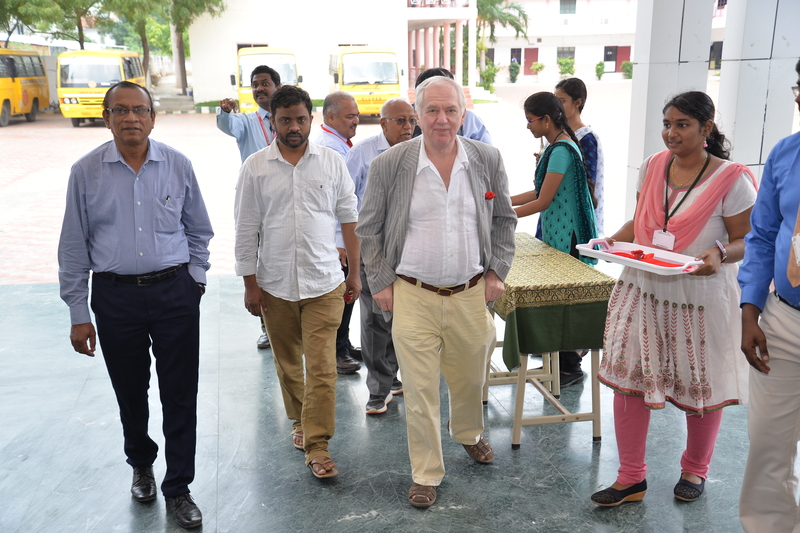 Dr. Nicholas Falk travels to Southern India to meet with Dr. Cletus Babu and other members of SCAD. Dr. Falk will give a number of presentations to the university and will discuss the development of the SURGe project. The URBED Trust essay competition for MBA and engineering students at SCAD closes. 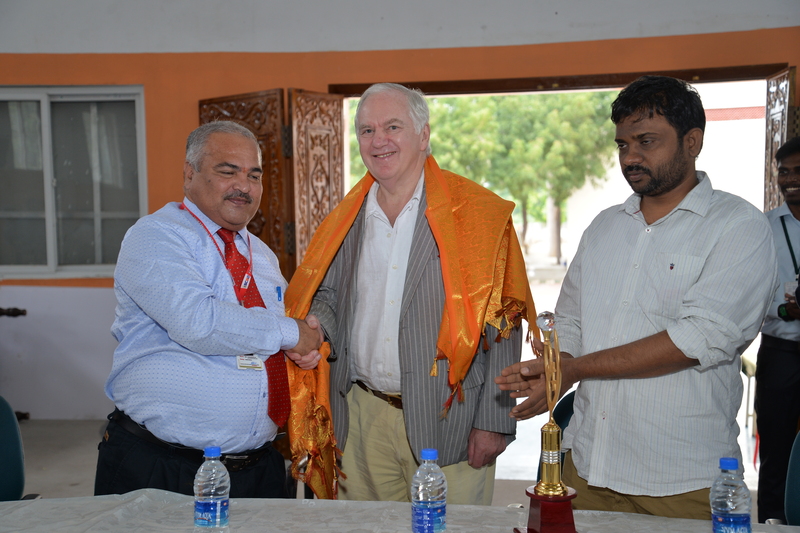 The URBED Trust launches a competition for MBA and engineering students at SCAD to produce a report exploring innovative thinking on business opportunities in the Tirunelveli region. The three topics the students had the choice to write about were Tourism and hospitality, Energy + Water, and Eco-homes.